The mine fire in Centralia, Pennsylvania, USA, started in May of 1962. 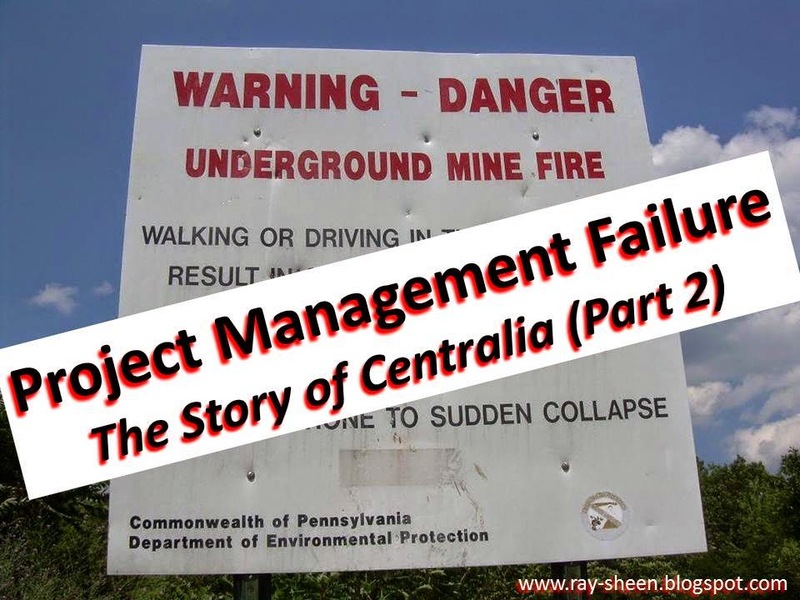 In the first two blogs in this series (here and here) I reviewed the project management failures on the part of the city of Centralia and the Pennsylvania Department of Mines and Mineral Industries. Both tried to extinguish the fire and failed and responsibility for leading the effort was turned over to the US government Bureau of Mines. In the summer of 1965, three years after the fires started, the federal Bureau of Mines created a plan to address the fire. This two phase plan would cost $2.5 million. The plan was approved, but bureaucracy and red tape slowed things down so that Phase I did not start until September of 1966. First project management failure by the federal government – the project management methodology inhibits project action instead of enabling it. Phase I took longer and cost more than planned. When it was finally time to start Phase II, in October of 1967, a re-estimate of Phase II indicated that the project would now cost $4.5 million. Rather than spend the money, the project was redefined. The Phase I activities were expanded and the Phase II activities were cancelled. This was done despite the report issued in 1965 that said both phases were needed to control the fire. The expanded Phase I was completed. A project success clained, but the fie was still raging. 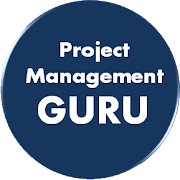 Next project management failure – changing the project scope to fit within the available budget and claim a “success,” without considering the impact on the project goal. By December of 1967 the fire had spread into an adjacent coal field. The company that owned that unmined coal was naturally quite concerned that the coal would be consumed before they could dig it out. But because the Bureau of Mines was involved in fighting the fire, the company was prohibited from doing any mining without Bureau approval. The company offered to put the fire out at their own expense if they would be allowed to dig out their coal. They even offered to let the Bureau of Mines supervise the effort. However, the federal agency rejected the offer. Next project management failure – refusal to accept help from others. With the fire still burning and spreading, the Bureau of Mines decided to try a new technique for building a barrier around the fire, using fly ash. This innovative technique had worked well in several tests. In May of 1969 this project was started in combination with yet another small excavation trench. This effort was partially effective in stopping the fire from spreading further towards downtown Centralia, although the fire could continue to burn and spread in other directions, Therefore the project was of limited scope and did not completely surround the fire and extinguish it. Although the fire was no longer spreading towards downton Cetnralia, by this time, three houses that were nearest to the fire had already been condemned because they were full of carbon monoxide venting from the fire. Next project management failure – a partial success occurs and the team declares victory without achieving the full project objective. Move forward now to 1976; periodic monitoring revealed that the fly ash barrier constructed in 1969 had not sealed the fire. Hot gases, primarily poisonous carbon monoxide, had jumped the barrier. Although it did not appear that the fire had jumped the barrier, it was creeping around the edges of the trench. The Bureau of Mines determined to conduct a repair project of the barrier and trench. Again bureaucratic red tape delayed the start until July of 1977. Phase I repaired the fly ash barrier and closed some vent holes. Phase II of the repair project required more excavation. This time a bigger, longer trench would be dug and now it was close to the town. In fact, the line of the trench went through several houses. Twenty-five families would need to move. Needless to say there were was an uproar on the part of the citizens of Centralia. Phase II was delayed. Finally, by the end of 1978 the town decided to go along with the plan, only to find that the Bureau of Mines had again changed their mind and had a new plan. Once again they were proposing to pump the area full of water and crushed rock. Next project management failure – not aligning the project with the needs of key stakeholders will create delays, conflict, and confusion which leads to even bigger problems. Well the story has a tragic ending. While everyone was arguing over what to do, homes in Centralia were starting to be contaminated with toxic gases from the fire. The government paid to put a carbon monoxide monitor in each home. Many homes were repeatedly exceeding safe levels. By 1984 the bureau of Mines gave up on controlling the fire. 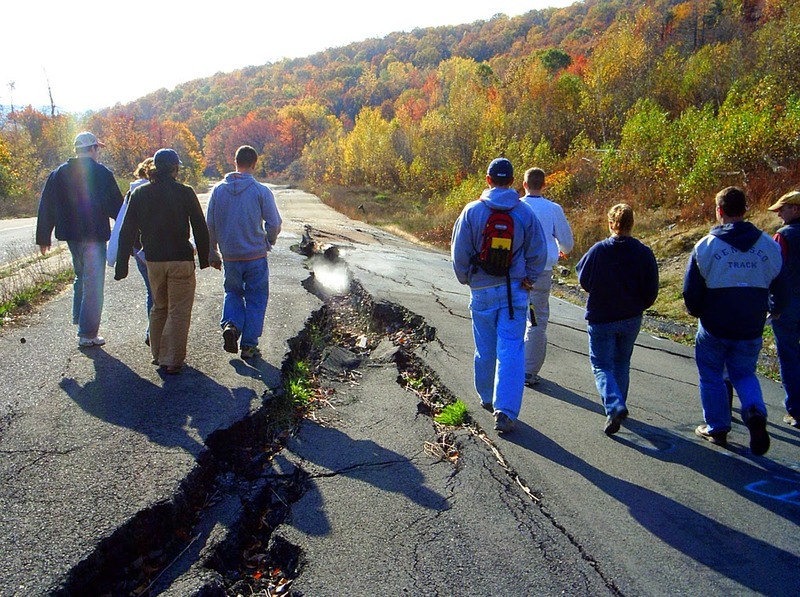 The US congress authorized $42 million to relocate the remaining residents of Centralia. While many families took advantage of the buyout, a few families refused to accept the money and move. In 1992 the government condemned the entire town and invoked imminent domain. After years of appeals, the seven remaining residents are allowed to live out their lives in Centralia, but upon their death their property reverts to the state. The project management methodology inhibits projects instead of assisting them. Project scope is changed to fit the budget so that a “project success” can be claimed but the scope no longer accomplishes the project goal. A refusal by the project team to accept help from others. A partial success is hailed as a complete victory and the full project goal is never achieved. When in the midst of a crisis, not aligning the project approach with all the stakeholders only deepens the crisis. One final ironic note about Centralia; it has now become a tourist attraction. Visitors from around the world come to see the smoke and steam pouring from the cracks in the roads and holes in the yards of the abandoned homes. The town has even been featured on the Travel Channel. 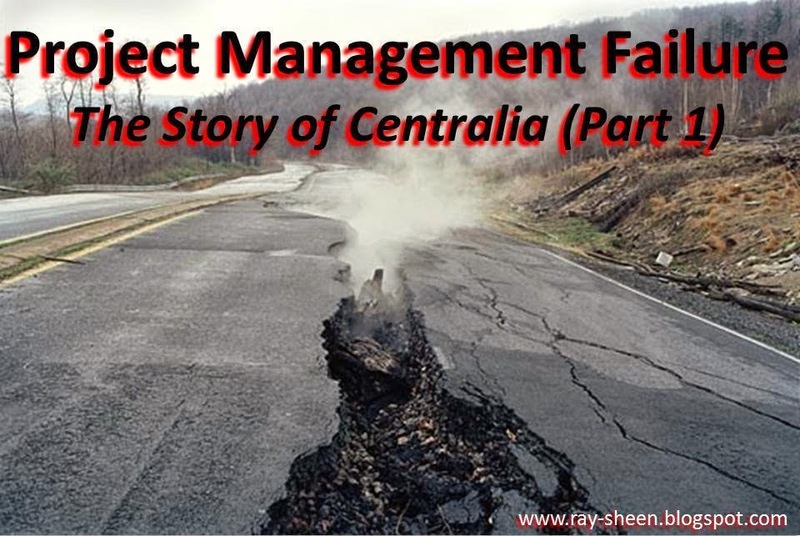 Due to the ongoing stream of project management failures, people all over the world have now heard of Centralia, Pennsylvania. References: DeKok, David. 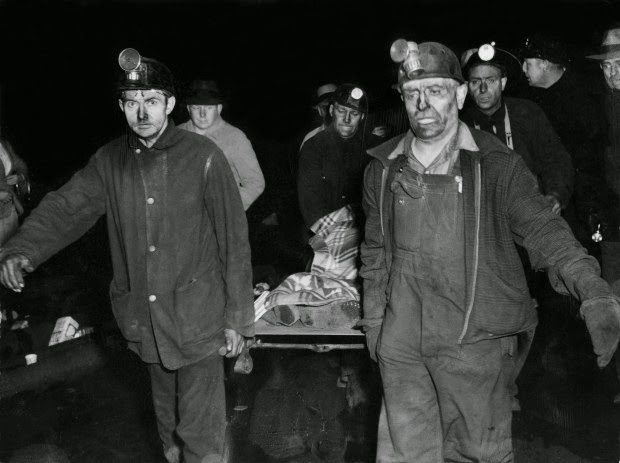 Fire Underground: The Ongoing Tragedy of the Centralia Mine Fire. Guilford, CT: Globe Pequot Press, 2010. The mine fire in Centralia, Pennsylvania, USA, had been burning for nearly two months. In my previous blog post I covered the actions and project management failures on the part of the city. After several months of fighting the fire, the city council has given up and turned the responsibility for fighting the fire over to the state Department of Mines and Mineral Industries (DMMI). Let's consider how they approached this problem. By the time the state DMMI got involved, there was smoke and steam coming from fissures in the ground. In early August, 1962, the DMMI held a meeting in Centralia. At the meeting a small mining company offered to dig out the fire for free if they could then have the rights to any coal that they dug out at the same time. The offer was rejected because that approach did not go through the normal state procurement processes. First project management failure by the state – unwilling to consider innovate responses to unique project problems. Another month passed and now the state hired a company to excavate the burning portion of the mine for $20,000. (Yes, they did follow the normal procurement process this time.) But this contractor was not allowed to test to see where the fire had moved, but was required to dig the area that was specified in the contract. Unfortunately the contract did not correctly guess the direction and speed of the fire. Further, the contractor was only allowed to work one shift a day and was not allowed to work on weekends or holidays. Unfortunately, the fire did not stop burning at night or on weekends and holidays, so it grew to a size much larger than what was in the contract. Next project management failure – a rigid focus on the scope document ignores the goal of the project. By November, five months after the fire started, a new plan was initiated. DMMI decided that the abandoned underground mines around the fire would be pumped full of crushed rock and water to isolate the fire. This effort would cost an additional $40,000. But there were several problems. There was no local source of sufficient water to do the work, so it had to be pumped in. It was now winter; and winter in the Pennsylvania mountains can get cold. The water lines and equipment for creating the crushed rock slurry froze so the pumping was delayed and sometimes curtailed. Meanwhile, bore holes for locating the edge of the fire were actually creating paths to let the fire move into new areas. This part of the project finally finished in March of 1963. By the middle of April it was clear that the fire was raging beyond the enclosing circle of crushed rock. Next project management failure – poor planning of a rebaseline over-looked obvious constraints and risks. The next proposal considered by DMMI to put the fire out was a three-pronged effort that could cost over $500,000 if all three prongs were followed. That would have to wait until the state’s new fiscal year started on July 1. The fire had now been burning for over 13 months. Unfortunately, the DMMI budget was cut in the new fiscal year, so this project was not funded. Next project management failure – inability of the team to explain the project impacts (threat or opportunity) to management, leading to a short-sighted decision. The DMMI did eventually allocate $40,000 for fighting the fire and in July of 1963 another small project similar to the first one the DMMI funded was undertaken with the same results. The state now ignored the fire and it continued to burn until the federal government finally decided to step in. Unwilling to consider non-traditional alternatives to address risk. A rigid focus on the original scope documents ignores the project goal. Poor planning of a re-baseline ignores obvious constraints and risks. Inability of the team to explain the project impact leads to short-sighted decisions by management. Let me tell you a story of a tragedy; an avoidable tragedy. It is a case study in what not to do when managing a project with a problem. It is the story of the mine fire in Centralia, Pennsylvania, USA. The fire was intentionally started by the city on May 27, 1962. It is still burning over 50 years later, and it is expected to burn for another 250 years. It has grown so large that it can’t be extinguished. It has made the town of Centralia and the neighbouring town of Byrnesville virtually uninhabitable. 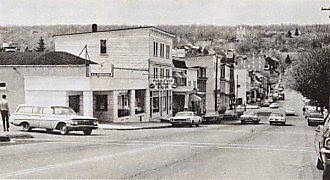 The population of Centralia has dropped from over 2700 in 1980 to just 7 in 2013. The fire now encompasses an area of 3700 acres, is 300 feet deep, and it is still growing. Why is this fire a study in failed project management? It is an almost endless string of bad project management decisions. I am not talking about Gantt charts and responsibility matrices. I am talking about decisions by the stakeholders concerning whether and when to do a project and the approach that is taken. I am talking about the risk management, scope management, and stakeholder management associated with a project. 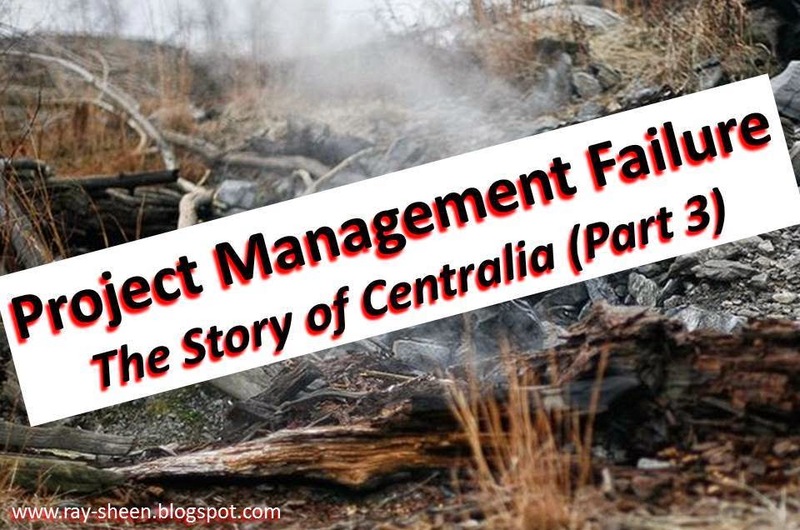 In fact, there are so many project management failures to discuss that I will need to break this blog post into several parts. According to most accounts, the fire was intentionally started on May 27, 1962 as part of a town clean up to prepare for the upcoming Memorial Day celebrations. The new town landfill, which had only been open for a few months, was next to the cemetery where the memorial service would be held. It was both ugly and smelled bad. It was common practice in the town to “clean up” a landfill by heaping the combustibles and burning them. So, under the direction of the town council, the fire department did a controlled burn at the landfill that day. This landfill was in an old strip mine that was above abandoned underground anthracite coal mines. In fact the whole area around Centralia is honeycombed with these underground mines that had been in operation for over 100 years. The strip mine was a surface mine. According to state regulations, for it to be used as a landfill, any openings into the underground mine would need to be closed and sealed with non-combustible materials. The city had sealed five holes and received a permit to operate the landfill. Project management failure number one – not recognizing a high risk environment and taking that into consideration in the project plan. The large number of holes indicated that the area around and under the strip mine was porous. It was high risk area for breakthroughs into the underground mines. Filling the strip mine with rubbish could easily destabilize some of the underground chambers leading to a collapse and more openings. The fire department regularly set and monitored landfill fires at landfill sites around the community. Although this was the first fire at this site, there was nothing else unusual about May 27, 1962. But the fact that it was a brand new site meant that there were unknowns associated with doing a controlled burn. The rubbish was piled, the fire set, it burned for several hours and then the fire department hosed it down to put the fire out. Project management failure number two – when doing something for the first time, double check the results to be sure they are what you expected. The fire department should have provided extra monitoring for this fire since it was the first fire at this site. They didn’t. Several days later, the cemetery manager contacted the fire department to say the landfill was on fire again. Once more the fire department hosed it down and said it was out. Once more they left with no follow-up plan. The following week the fire flared up again. Again the fire department hosed it down. Project management failure number three – when you have a problem trend, you need to take preventive action to get to the root cause or things will get worse. Finally the city became concerned that there might be a problem. The fire had been burning for nearly three weeks. They hired a contractor with heavy earth-moving equipment to essentially turn over the rubbish in the landfill and allow the fire department to hose down the inner core of the landfill. As the rubbish was turned over, flames were everywhere, and that is when the firemen discovered another hole from the strip mine into the underground coal mines; a hole that was almost 5 meters long and nearly a meter wide. The city notified the State officials, but their initial response was slow and they didn’t send anyone to investigate until July 19. In the meantime, the city contacted a contractor who had handled mine fires in the past. He came to Centralia and investigated the situation. He said he could dig out the problem and stop the fire for $175. But the city council said a project like that would need “to go through channels” which could take months. Next project management failure – being so tight with resources that even small issues cannot be resolved. Unwillingness to commit resources to an unplanned but necessary risk response. 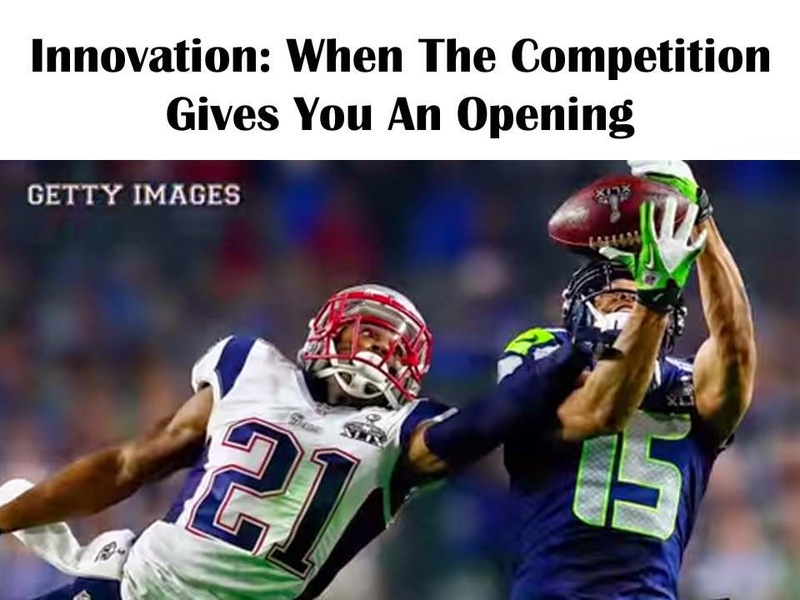 I was recently watching the Super Bowl and was reminded about the value of competitive awareness, empowerment of your staff, and taking decisive action when implementing a product line strategy. Sometimes the best opportunities are not because of something we have done, but rather because of an opening that our competitors have created. If we quickly recognize the opportunity and take action, we can gain a tremendous advantage. Super Bowl XLIX was between Seattle and New England. Let me recap what happened. The game had been a back and forth affair. At different times each team was leading. Near the end of the game, New England was slightly ahead, but Seattle had the ball and was driving toward a possible winning touchdown. The Seattle drive had been a combination of good play calling, good execution, and good luck – a tipped ball literally fell into a Seattle player’s lap at one point for a big gain. Seattle had the ball first and goal from the five yard line with less than a minute to play. Seattle had one of the best power running backs in the league who was having a good game. They also had a mismatch on the field – New England was in its “goal line defense” and Seattle had a spread offense. That meant there were Seattle receivers who would not be well covered. Therefore Seattle had two great options; use the running back or throw a short slant pass. Both had been successful for them on numerous occasions. On the first play they tried the running back and he took the ball to the one yard line. On the second play they tried the pass, and a New England cornerback intercepted the ball. This stopped the Seattle drive and New England won the game. Many of the sports pundits and reporters have focused on Seattle and their play calling. But I want to focus on New England and their cornerback. That is where we find the product line strategy lessons. The business environment, is normally characterized by competition. Each of the competitors is trying to do what they think will allow them to be successful. It is essential to have a strategy and a plan. But it is also essential to be aware that your competitor has a strategy and a plan and they are doing their best to implement theirs and defeat yours. Therefore you need to be regularly gathering competitive intelligence and learning what your competitor is doing. Search for the patterns in how they operate. These patterns can create openings for you to exploit. I am not saying that you should always be reactive. You should have your own strategy that you are implementing. But in addition, you should be taking advantage of the opportunities that the competition may offer. The New England team had studied Seattle’s play calling in that situation. They knew the types of plays that Seattle favoured in a goal line situation. Because of this knowledge, they knew that a pass play was often called and they knew the likely intended receiver. With this knowledge, they could implement a defence against that play. This brings us to the second lesson. The people on the front line need to have the knowledge, confidence, ability, and authority to take action. When creating a product line strategy, it is often well understood in the executive suite, but not by the people on the phone, on the floor, or on the road who are implementing it. In today’s business environment, people are highly connected. Customers want and expect immediate answers and information. That means that our front-line customer-facing staff must be knowledgeable and able to act to provide that information and support to customers. Based upon the competitive strategy and upon the actions of the competitors in the market, our staff needs to know what to do and how to do it. This will require more than sending a memo out on Friday afternoon. It requires training and practice. Let’s look at the New England cornerback. He was a rookie (first year in the league), a backup player (seldom on the field), from a small college (no “big-time” experience). He was probably the least experienced member of the team when it came to playing football at a premier level under a media spotlight. But he had studied the Seattle offense. He had practiced what to do in that situation. As he has said, when that play started he knew immediately what was going to happen and what he would need to do to stop it. Our final lesson is that when the decision is made, we must act. In most industries today, the pace of business is very fast. If a potential customer cannot find or get what they want from one seller, they are immediately on to the next one. While a competitor may open up an opportunity in the market as they implement their strategy; that opportunity can close again very quickly. Instantaneous information, overnight delivery, and mass customization create a business environment where an action delayed is an opportunity lost. The front-line customer-facing staff need the confidence and authority to do what is both right for the customer and consistent with the strategy. When they see an opportunity created by a mistake or oversight of the competition, they need to act, rather than submitting a request to senior management that gets discussed at the next quarterly strategy review meeting. 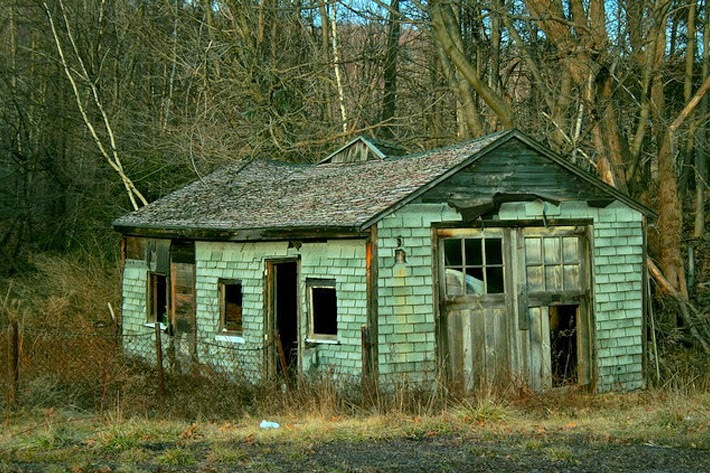 Let’s look at the New England cornerback again. He recognized the play and knew where the ball would be thrown. So he did what he had to do to get there and catch the ball. It is instructive to see the picture of the catch. The New England player is focused on catching the ball. The intended Seattle receiver is falling backward, out of position and out of control. It is clear who had taken decisive action and who hadn’t. The business environment is dynamic. Your product line strategy needs to take into consideration what the competitors are doing. You need empowered front-line customer-facing staff. This will require training and practice to know how and when to implement your strategy. Finally, the staff needs to act to take advantage of opportunities. As a good project manager, I am certain that you are managing specific risks on your projects. But are you also managing the risk environment? What’s the difference? Managing specific risks focuses on how to solve a specific problem on your project. 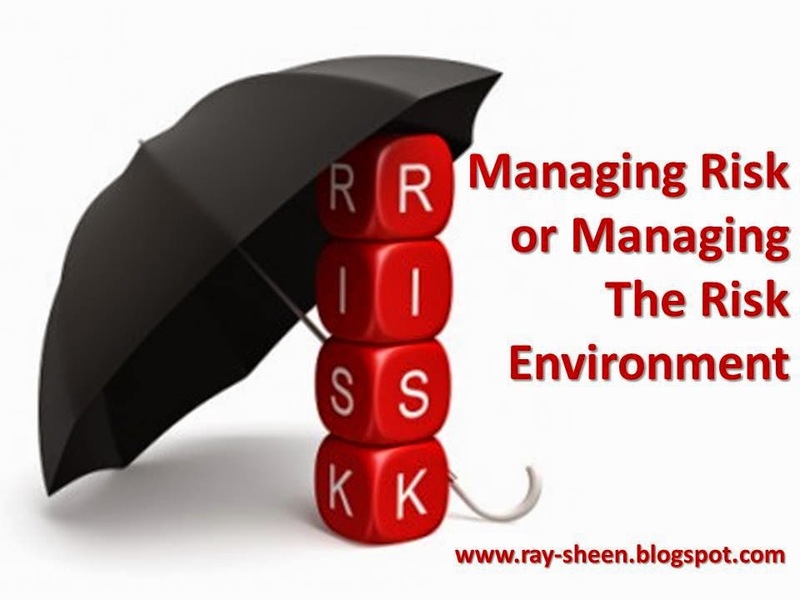 Managing the risk environment focuses on setting up the project conditions in such a way that there are fewer risks and the remaining risks are of a lower magnitude. Let’s use an example from everyday life to illustrate the point. While preparing your evening meal, you realize that you need to go out that night and get several items from the market for your breakfast the next day. You could drive to a large market several miles away that has a wide selection but is next to a large sports arena. Or you could walk several blocks to a small local market with less selection. If it is a pleasant evening and there is a big game at the arena with crowds of rowdy fans, the local market is a lower risk option even though the selection is less. If it is a stormy night and there is no game, the large market is a better approach even though it is farther away. There are risks with either approach, but depending upon the circumstances the risks with one approach are likely to be more severe than the other. Most of the project risk management tools and techniques are based upon managing specific risks. Project risk analysis often focuses on two factors, the probability and the impact of each risk. However, to do this analysis, much of the project plan must be completed so that the specific probability and impact can be determined. In order to have completed the project plan, the basic project approach must be set. If that project approach is set in a high risk environment, the susceptibility to risks is increased and the ability to respond to risks is reduced. The project team can manage the individual risks in this environment. But it would be even better if we proactively managed the risk environment so there were inherently fewer and lower risks. Project susceptibility to risk can be assessed at the time of the Project Charter, as soon as objectives, boundaries, assumptions, and constraints are defined. There are factors in a project environment that are risk enablers and risk magnifiers. By redefining the project at the time the Project Charter is created some of these factors can be eliminated. Even if they are not eliminated, knowing that there are many factors creating a high risk environment may change the project planning and executing approach. For instance task level estimates may be increased, resource selection may change, resource allocation may change, or the frequency and types of reviews may be modified. Product complexity – an assessment of the product design difficulty and stability. Technology maturity – were the required manufacturing processes mature and stable in the company’s operating locations. Quality requirements – did the customer have unique or extreme quality requirements. Geographical dispersion – the number of nodes (company and customer stakeholders directly involved in the project) and their locations, including country and time zones. Cultural aspects – the number of languages and cultures represented on the project team (regardless of location). Contracts and governance – the contractual and regulatory environment associated with the customer and product. Organizational capacity – the number of current projects and the phases they were in. For each of these factors a rating scale was developed and then a score was set. 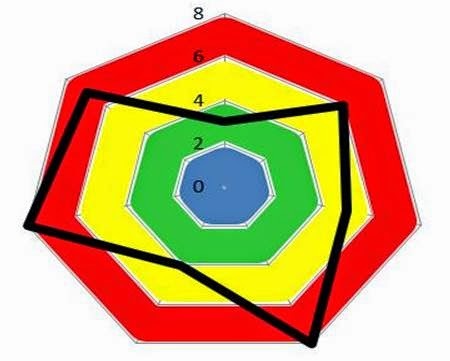 A composite risk assessment of all the factors was created using a radar chart. The company began to use this assessment to screen new projects before deciding to take the work. If the “web” in the radar chart was small, they would take the project. If the “web” in the radar chart was large they would either avoid the project or ensure they negotiated time and budget reserves. If the “web” was lopsided, it gave the project manager insight into areas where extra attention was required in both planning and executing the project. Managing individual risks is good practice. Managing the risk environment is even better.